The description kinds of sum it up pretty well. When her airplane experiences major turbulence, Emma thinks she is going to die so she shares all of her secrets with a stranger on a plane. But the stranger turns out to be the CEO of her company, Jack Harper, and she sees him again and again. At first Emma is nervous that someone could know so much about her but she soon relaxes as his knowledge seems to be more helpful than harmful. But just when Emma lets her guard down, disaster strikes. This is my second Sophie Kinsella novel and audiobook and I have to admit that I'm hooked. I'm starting to think that the description doesn't matter because you really have no idea what you are getting into. The plot twists are unexpected and fun. The characters are quirky and endearing. Plus, all the fun comes from the thoughts and mishaps of Emma. I loved Emma and her best friend, she seems like a person I would want to be friends with. I even enjoyed her snooty flatmate. I'm not even a huge fan of chick-lit but I'm constantly amazed at how Ms. Kinsella thoroughly entertains. Granted, I've actually never read one of her books, I've only listened. I feel that I've finally found books that might be more fun to listen to than read. The voices and accents are awesome and I truly have so much fun. I always say that I only listen to audiobooks when I can't read, like when I'm driving. But with this one, I took it out of my car and listened in my room because I couldn't bare to stop listening. I laugh out loud, cover my face, and make all these crazy faces. It's kind of like girls night but...with me and an audiobook (okay maybe that sounds sad but it is really fun...I promise!). Kate Reading did a fantastic job. I could easily discern the voices of the different characters. She was dramatic but not over the top. I really feel as if this was a performance and not just a reading. This is a light and fun read where the listener gets to sit back and listen to a great performance. Even if you aren't a fan of chick-lit, you might still give this one a chance because... I can't really imagine not liking it at all. Oh now I'm gushing. I hate when that happens. YEAH! I have this one but haven't gotten around to it :) Have to love when a narrator and book work well together! Lol! Your comment made me smile. You've got to get around to it. It is so worth it. I haven't read one of Sophie Kinsella's books in a long while. This one looks like a good one. Thanks for your great review. This is only my second. I can't believe I'm just discovering her. I love Sophie's book too. I reallly must try her on audio. I've had Undomestic Goddess on my shelf forever. But lately, if it's not an audio, I don't get time to fit it in. Thanks for the great review. I think the Undomestic Goddess is on audio too. I think you should just see if you can find it in the library or whatever on audio. I bet it is good. 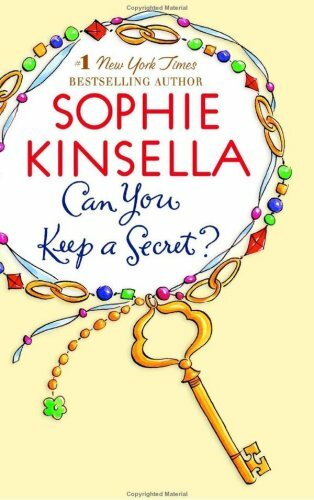 Can You Keep a Secret is actually one of the Kinsella books that I like the most. I've never been a huge fan of Becky, mostly because I feel like she never learns her lesson, but I do like the other books by this author. And I always found Emma funny. I'm glad you liked this book! I think I started off with two good ones. I had such fun. I am though I am taking a break. Time to switch gears. Oh, it's been forever since I've read a Sophie Kinsella novel. I loved her shopaholic series. It was seriously soooooo funny! I've never tried her on audiobook, but you can bet I'll be looking out for one now because I love the types of audios that you can laugh out loud to. I'm not sure if the shopaholic series is my thing. I think her audios are the best. I LOVED Jemima, the snooty flatmate. I know! I love a book where I love the characters with the flaws (mean girls) as well. Lol. That sounds hilarious! Definitely outside of my normal reading zone, but perhaps I'll give it a shot! It was outside of mine too but I'm so glad I gave it a shot. This is my favorite book of hers, granted, I've only read two, but this one kept me laughing the entire time! Have you read Jill Mansell? They don't have the same style, her books are more serious, but there's something about British Chick-Lit that's so charming and adorable! I'm so glad you liked it!! I have a Jill Mansell review coming up too but I must admit I didn't find it as fun. It also told me it was time for me to get off my chick-lit kick. I hear such great things about her work. 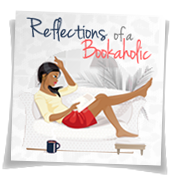 I read the first in her shopaholic series and though I didn't much care for the main character, was fascinated by the story and laughed quite a bit. I think I just bought another of her books. This one sounds like a lot of fun and I love books that can make me laugh. I'm not really interested in the shopaholic series but I'll keep trying these standalones. 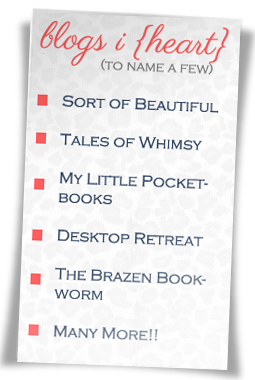 I love how you're on a Sophie Kinsella kick! Perfect for spring. And Kate Reading is probably my favorite female audiobook narrator - she is just fabulous, and my go-to narrator when I'm just not sure what to choose. Glad you had fun with this one! I know! But I have to give it a break because I have review requests and finals. Lol. It's because I'm doing a lot of driving and listening to a lot of audios. I quite enjoy KInsella's books. They are often quite witty and that can be refereshing sometimes. Yes! They are definitely light and fun. Alexis,you really know how to choose the right book,I love this book it's my favorite book ever. I get so lucky sometimes! This is a pretty awesome book. I didn't know that I would like a chick-lit book so much. I loved this book too! I'm glad to hear that the audio is great as well. 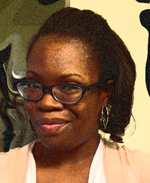 Someone who sounds like a storyteller, as opposed to a narrator, really makes a difference. I'm finding that I might have a favorite narrator or two. Who would have though a year ago. A great narrator can really enhance a great book. Wow! I've won an ebook in 2010 and until now, I haven't finished it. >_< I don't think audiobooks are okay for me. But nevertheless, I like the sound of this. I love the Shopaholic series and I love Sophie Kinsella! <3 Will try this out. Thanks for the review! Audiobooks didn't win me over right away but I spend a lot of time driving and they have really helped out. I'm finding that I love Sophie Kinsella too. I'm kicking myself for taking so long. I love Sophie Kinsella so much and this book was no exception-another sparkling entry into her catalog.